For many of us, harrowing is one of those words that lingers in the doorway to our vocabulary: we know it, we use it, but...what's a harrow? And what does it actually mean to harrow something? Let's invite this word inside and get to know it better, starting with where it's from. Also from the farm are glean, thresh, fallow, fodder, winnow, and first fruits. For each of those, could you explain the literal and figurative meanings? This word comes from Old English, and it might be related to the word "harvest." 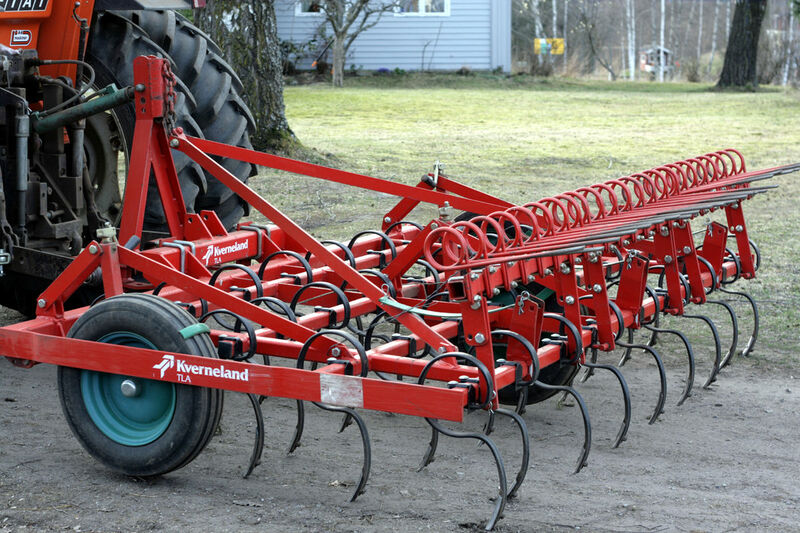 As you can see, a harrow is a farming tool with sharp teeth that drag over the ground. When you harrow the ground, you break it up or tear it up. So, something harrowing feels like it's clawing into you with a harrow: it's scary, painful, or stressful. 1. Right before a noun, as in "a harrowing thing." Talk about harrowing situations and circumstances, harrowing problems and issues, harrowing experiences and incidents, harrowing realizations and discoveries, harrowing injuries and heartaches, etc. You can also talk about a harrowing past, a harrowing history, or a harrowing period of time: "a harrowing afternoon," "a harrowing year." Or, talk about harrowing pain, stress, terror, anguish, etc. You can even call things harrowing when the fear, pain, or stress they cause comes secondhand: harrowing tales, stories, accounts, reports, articles, books, shows, and movies; harrowing details, images, and information; and even harrowing poems, songs, artwork, and performances. He doesn't talk much about those harrowing years of poverty and isolation. Addled, in labor, and in a harrowing rush to leave for the hospital, I shoved a half-eaten bowl of cereal into the fridge. Look away from the screen to explain the definition in your own words. You’ll know you understand what "harrowing" means when you can explain it without saying "excruciating" or "nerve-wracking." Fill in the blanks: "Having (accomplished something potentially messy, painful, or disastrous), (someone) sighed dramatically, 'That was harrowing.'" Example: "Having clipped the baby's microscopic fingernails without snagging her skin, I sighed dramatically, 'That was harrowing.'" Today, let’s check out "valetudinarian." That's a sickly person who's obsessed with his or her own sickliness. Remember, in the next issue I’ll give you an example of a valetudinarian, without mentioning the word—and you’ll try to recall it. That'll help you keep it in your memory. 2. The scene becomes even more harrowing after you learn that _____. She's a misodoctakleidist: someone who hates practicing the piano.